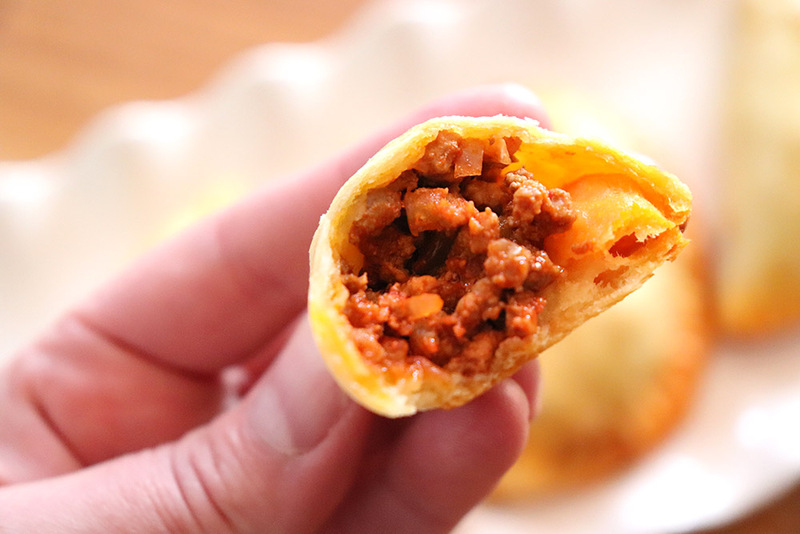 Learn how to make red chile beef empanadas with a homemade dough! If you’ve never had empanadas before, you are in for a treat! Empanadas are a baked or fried pastry with a filling (savory or sweet) that is common in Latin American cultures. I think the first type of empanadas I ever made was a fried apple empanada, which is ridiculously yummy. But I was craving a savory empanada at the same time I was craving red chile, so I decided to make Red Chile Beef Empanadas. 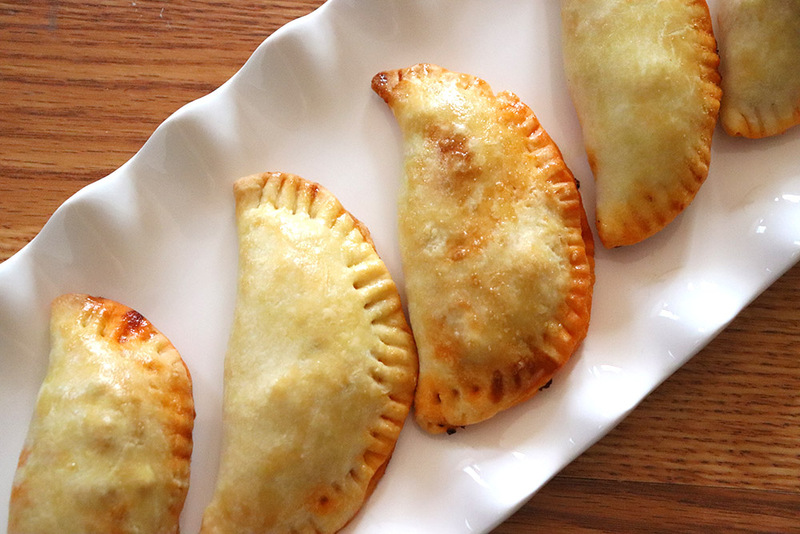 These beauties are made with a homemade empanada dough, stuffed with seasoned ground beef smothered in a red chile sauce, and baked until the crust was golden brown and crunchy. These make a great appetizer, or even a main dish with some hearty sides. The crust is buttery, flaky, and so tasty! To make the empanada red chile and beef filling, heat a tablespoon of olive oil over medium-high heat and saute a diced onion. Add in 1.5 lbs ground beef and cook until no longer pink. Add in 1 cup of prepared red chile sauce. Simmer for 10 minutes, then remove from heat. 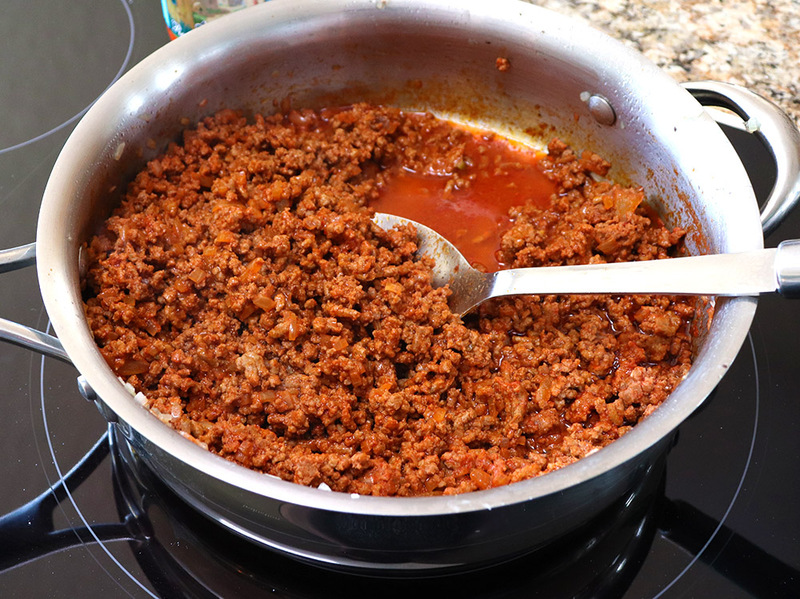 Pro tip – if you want to learn how to make your own red chile sauce, check out this post. To make the empanada dough, combine 3 cups all-purpose flour and a pinch of salt. Use a pastry cutter to cut in 12 tbsp of butter. Add 1 egg and 1/2 cup of water and mix until dough comes together. 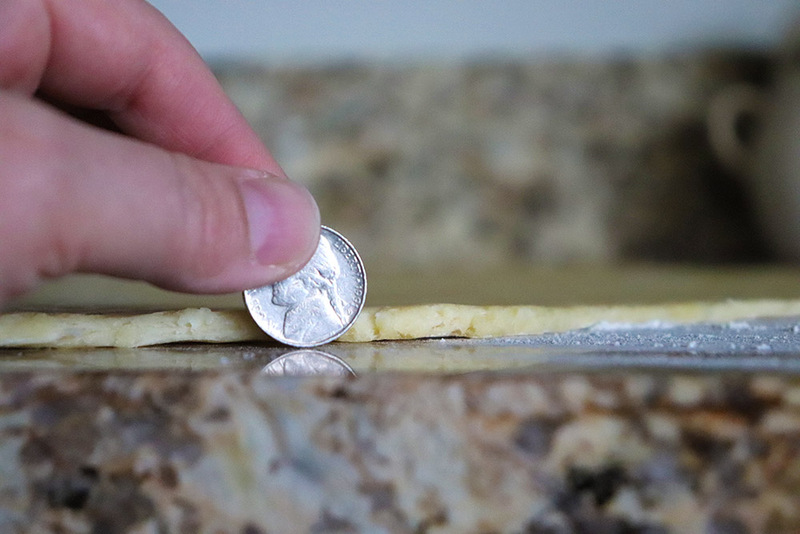 Roll the dough out on a clean and floured surface to about 1/8″ thickness. Use the ring of a wide mouth mason jar, or a cookie cutter to cut out circles. Take remaining dough, form into a ball, and roll back out and repeat until all dough is used. 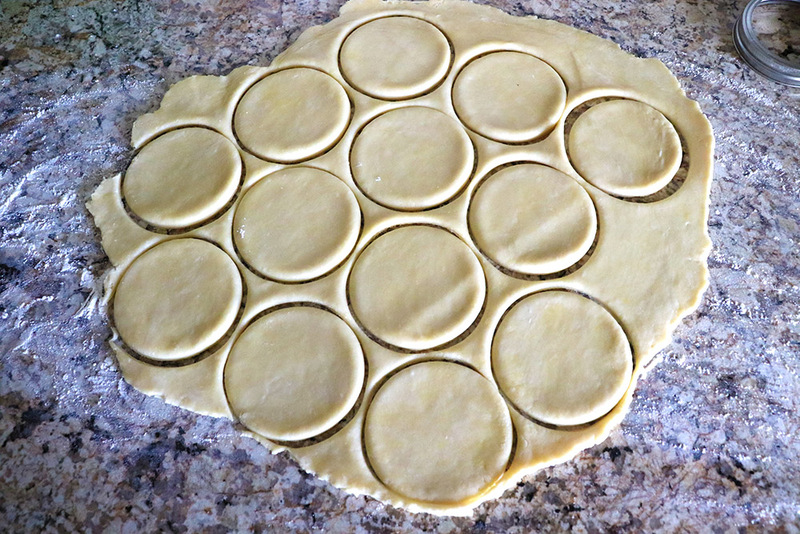 Use a rolling pin to roll each circle a couple more times until it’s about 1 1/2 times larger. 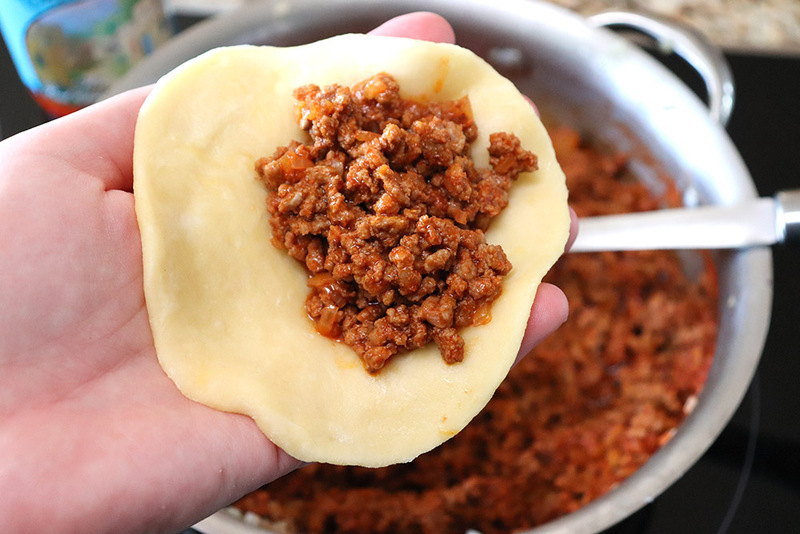 Add about 1/8th cup of the red chile beef mixture to the center of each empanada disc. Fold one side over and seal the edge with your fingers, then use a fork to seal each side. Repeat for all remaining empanadas, then place on a baking sheet and refrigerate for 30 minutes. Whisk an egg, then brush onto the top of each empanada. Bake empanadas in preheated oven for 20 minutes, or until golden brown. They’re best enjoyed while they’re still hot! These also refrigerate and freeze well, so you can make them ahead and reheat before serving. 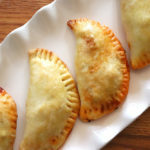 Empanadas made with a homemade pastry dough and stuffed with New Mexican red chile beef. To make the filling, heat a tablespoon of olive oil in a large pan over medium-high heat. Add the onion and saute until soft, about 5 minutes. Add in 1.5 lbs ground beef and cook until no longer pink. Add in 1 cup of prepared red chile sauce, stirring well. Simmer for 10 minutes, then remove from heat. To make the empanada dough, combine flour and salt. Use a pastry cutter to cut in 12 tbsp of butter. Add 1 egg and 1/2 cup of water and mix until dough comes together. 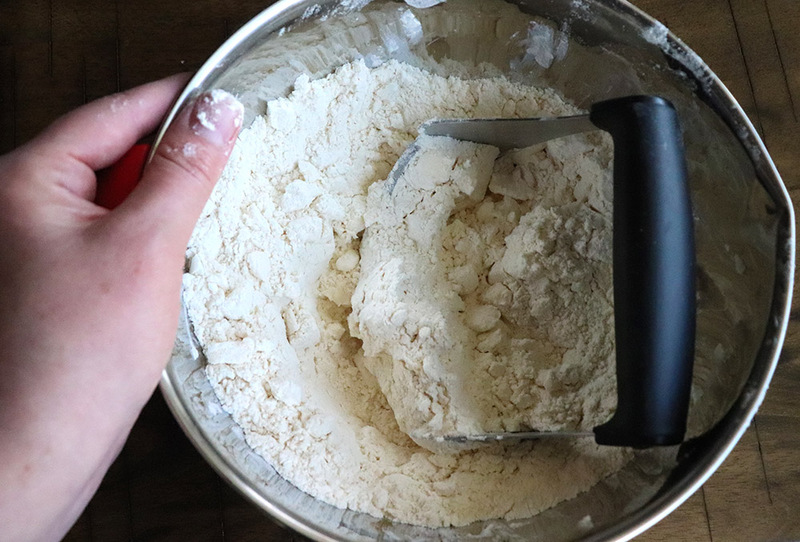 Roll the dough out on a clean and floured surface to about 1/8″ thickness, then use the ring of a mason jar or a cookie cutter to cut dough into circles. Take remaining dough, form into a ball, and roll back out and cut into circles until all dough is used. 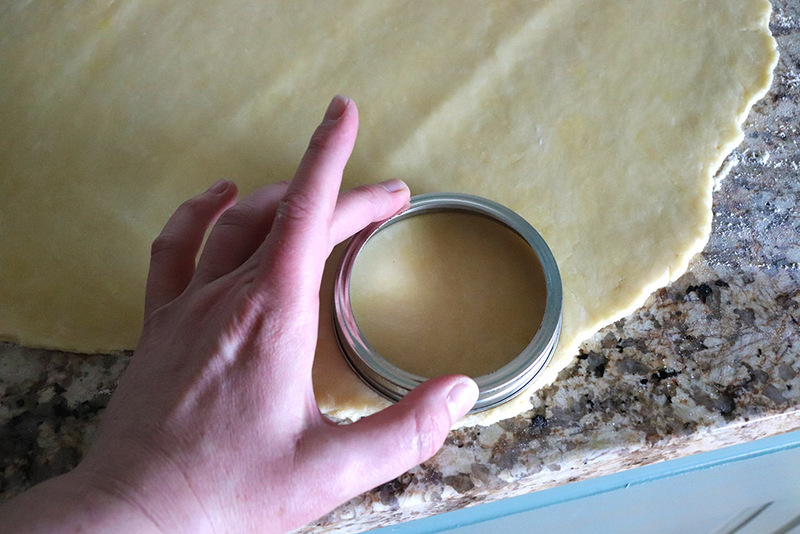 Use a rolling pin to roll each circle a couple more times until it’s 50% larger. Add about 1/8th cup of the red chile beef mixture to the center of each empanada disc. Fold one side over and seal the edge with your fingers, then use a fork to seal each side. Repeat for all remaining empanadas, then place on a baking sheet and refrigerate for 30 minutes. 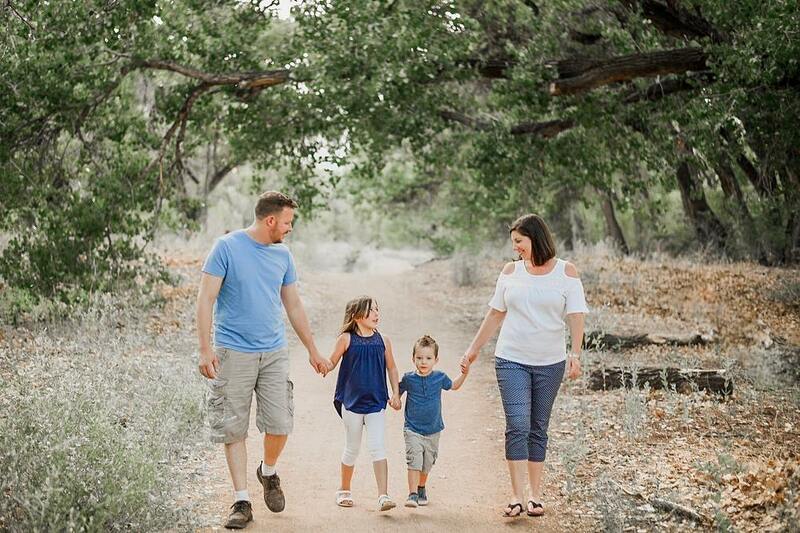 Click the image below to save it to your favorite Pinterest board!